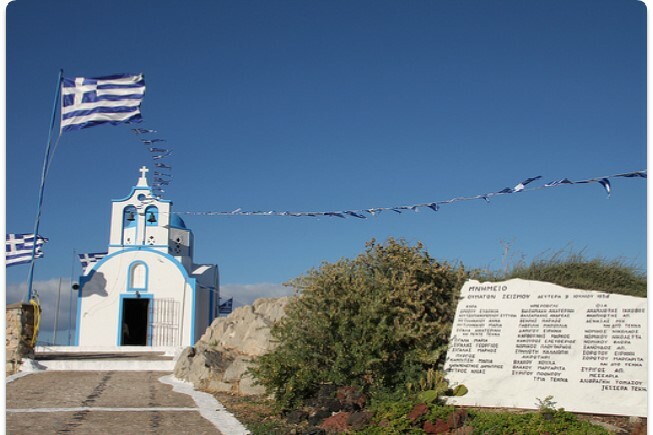 The church of Agios Pagratios is on your right, before entering Kamari village, on a rocky hill. The church is particularly important, especially today, as it was built in honor of the victims of the 1956 earthquake. In the entrance, a marble plaque with the names of the victims stands. Every year on 9 July, the day Agios Pagratios celebrates, a morning mass and procession of the icon is held.